Style: Are you looking for matte colors, gloss colors, or anything in between? Are your cabinets being painted? Do you need other items painted in your home? Color: Are you looking for something bolder, or soft? Are pastels or neutrals something you may be interested in? Crew: Who can I call to do the best work on the South Shore of Massachusetts and in Central Mass? 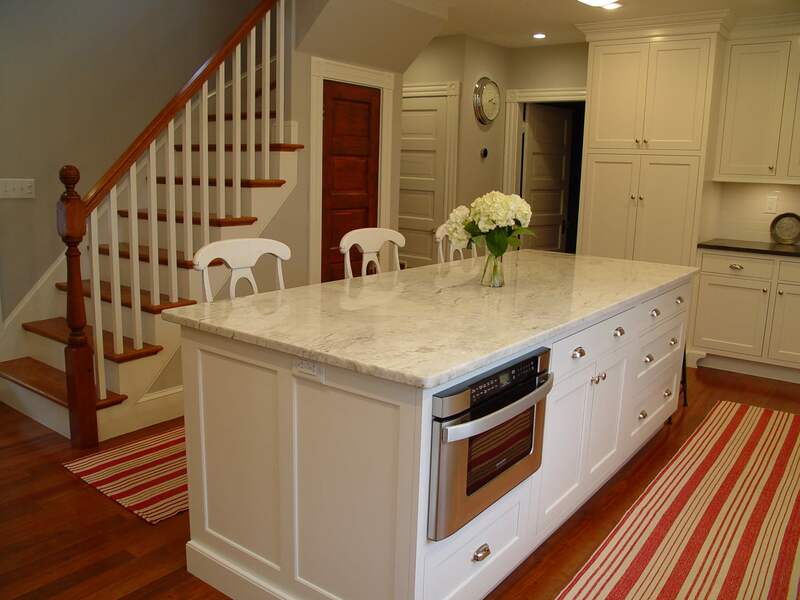 At The Kitchen Center of Framingham, we are the perfect team for any remodeling project. If you prefer someone else to do the heavy lifting, we would be happy to finish the project from beginning to end. No matter what your fencing needs, you will find the solution at The Kitchen Center. Neutrals: These colors are extremely popular because they are easy to match with. Many people that really want their home painted before the remodeling project is completed go with a neutral color that they have tested, because it is more likely to match than a bolder color, where you must get the exact color correct or it may run the risk of looking slightly off. Bold Colors: Bold colors, such as reds and purples can look incredible, especially as an accent for a kitchen area. This being said, you will have to wait to paint an accent wall or something of the type, because the color may not match exactly with the materials in the room, especially in a kitchen. Pastels: Lighter colors can be gorgeous, especially in a kitchen with lots of windows, as it can make the entire room look larger. Contact The Kitchen Center of Framingham Today! A new paint color can truly change the way your home looks, and add an element of luxury that wasn’t there before. If you are interested in learning more about our remodeling services or ways to incorporate these elements into your home, feel free to contact us today or reach us more directly by giving us a call at 508-875-4004.